Dave and Nick(‘s voices) star in their first video. 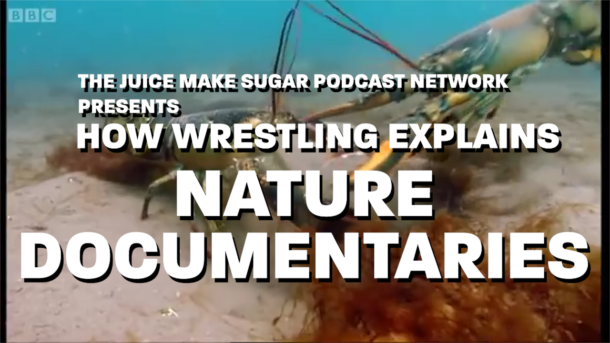 An excerpt from our How Wrestling Explains the World episode on Nature Documentaries: https://howwrestlingexplains.podbean…. If you like the video, we’ll be doing more for each NEW How Wrestling Explains… episode going forward. But if you want to see the other videos from archival episodes, you’ll probably want to drop a few bucks ($2!) in the Patreon bucket (https://www.patreon.com/HWETW) as that’s where most of the videos for our archival episodes (except for one coming next week featuring friend of the pod and Patreon Patron, Dylan Roth) will live.